Welcome – Brendan (Chairman) welcomed everyone and called the 3rd AGM to order. Chairman’s Report – Brendan started the meeting off with saying how impressed he was with the turn out, as there were over 50 cars in attendance. He then when on to talk about how much the club had grown over the last 3 years with there now being over 300 fully paid up members. He then spoke briefly about the past years achievements, which included the following. At the Japs show which was held at Thoresby Hall in Nottingham we were awarded “BEST CLUB OF THE SHOW”. The club saw a 75 car turn out over the whole weekend at the Japanese Auto-Extravaganza (JAE) which was held at Billing Aquadrome. He then thanked Rob for organizing this years Essex meets which proved to be a great success. Brendan then commented on the growth of the Northern meet and how well the first Northern Christmas meal had gone. 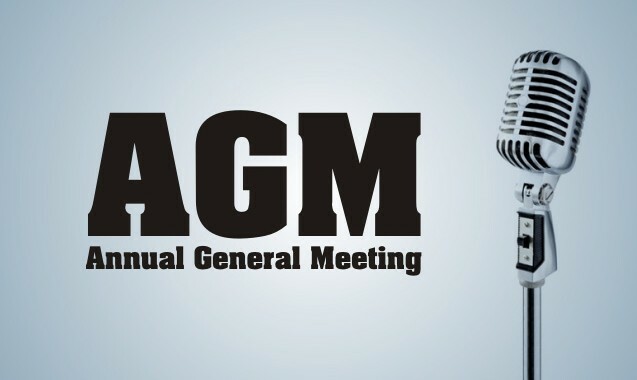 Secretary report – The minutes for the 2nd AGM were reviewed and accepted. There was no report from the clubs secretary. The club took £6000 in subscription, £4000 in merchandising, £1700 in events. The club has bought the following equipment: – A Gazebo, Generator, tables, BBQ and mini fridge. Overall the club had a £10,600 turn over. Out of that £1400 was profit. With a smile on his face Simon informed us that the club had only paid £20 in Tax. The club currently has £2500 in its bank account. Subscriptions – Subscriptions will increase to £30 for new members and £20 for current members to renew. The extra money that is raised will go towards the running of the website and to provide food and drinks for full members at selected events throughout 2004. The extra increase will also be used to stock a range of hard to get spares such as output shafts. These spare parts will be available to full members to purchase. New Merchandising – A new range of colored T-shirts were on display and will be available for full members to buy from the club. The t-shirts will come in the following colours Red, Green, Black and Navy Blue which will be held in stock if anyone fancies white and yellow they will have be ordered on request. Children and ladies sizes could also be available if requested. Brendan will be placing a post on the board to see what interest there is in the club stocking other types of club merchandise along the lines of Key rings, lighters, mugs, Golfing umbrellas etc. 5.3 Website – Members were asked to have a think about what sort of changes they would like to see made to the new board and current website. Ideas are to be forwarded to Ben Hobden and Paul Roberts. 5.4 Spare Parts – The club is looking into stocking hard to obtain parts. The following items were mentioned output shafts and sleeves, gearbox internals, Ball joints etc. The committee is to discuss this matter in more detail. 5.5 Events Coordinator – It was agreed that a events update email would be sent out prior to an event, also a posting would be placed on the board every ¼ detailing what events were about to happen. Club Magazine – It was discussed that the club needed a magazine or a news bulletin which would be sent out every 1/4. Brendan asked for a volunteer. Janey put herself forward; this was approved by a show of hands. Janey is to place a post on the board of what she will need to achieve the news letter/bulletin. Club Logo – Back in December the club held a competition to design a new logo for the club. The winner of this competition was Ian (Probe_killer) who received a £100 voucher to be spent at Amber Performance. Thanks were given to James for donating this prize. All posts containing adult, offensive or racially material will be deleted. New members were reminded to use the search engine before placing a post. All members were reminded to please post in the relevant topic to the message that they are posting. All members were asked to please update their profile information with there location. Brendan called the meeting to a close and thanked all those who attended.